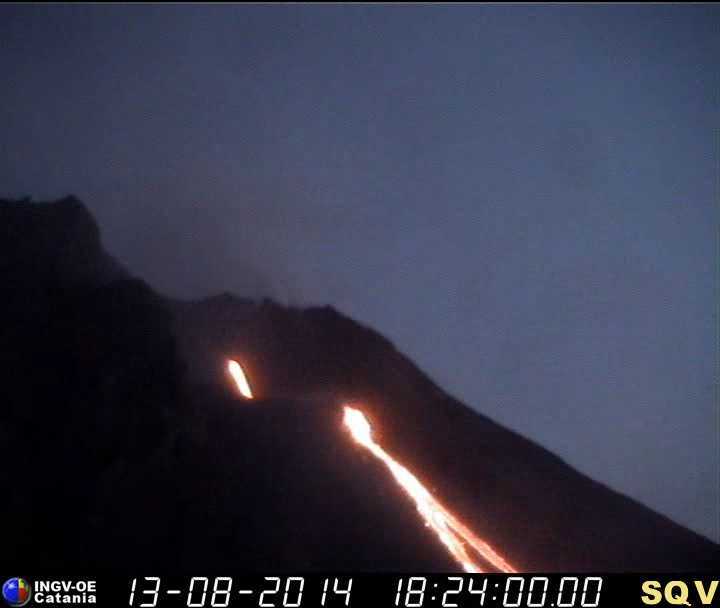 Stromboli (Eolian Islands, Italy): The lava flow continues to be well alimented with little variation visible. It forms an active stream on most of the Sciara, but its flow front during the past days only occasionally reached the sea, and rather accumulated to thicken the lava delta at the NE base of the Sciara. Etna (Sicily, Italy): Strong strombolian explosions in rapid succession and lava effusion continue from the New SE crater with little variation during the past days. An ash plume is rising a few 100 m. Tremor has dropped a bit yesterday, but remains elevated.